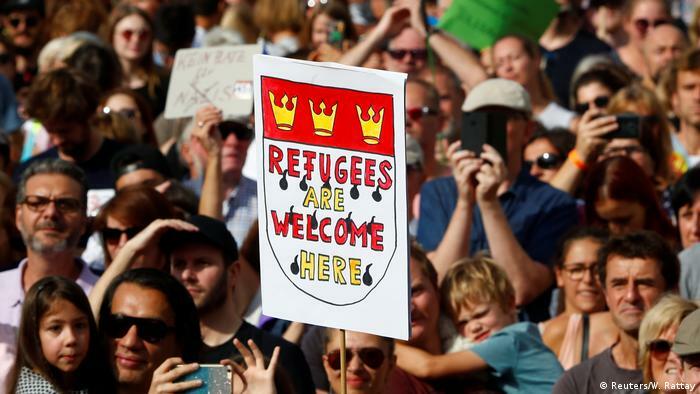 The people took to the streets in Cologne, Dortmund and Gelsenkirchen on Sunday to demand the German government cease deportations to countries like Iraq and Afghanistan. Opponents of the policy say both nations are too dangerous for individuals to be deported to, and that they should be allowed to stay in Germany instead. Cologne’s conservative mayor Henriette Reker, who was famously stabbed by an anti-immigration extremist, was among those who took part in the “Cologne takes a stand!” demonstration. The demonstrators also wanted to register their displeasure and anger racism and xenophobia in the wake of right-wing violence in the eastern city of Chemnitz earlier in September. The decision by the German government to declare parts of conflict-ridden nations like Aghanistan “safe countries of origin,” has proven extremely controversial. This was most recently highlighted by the case of an Afghan man committing suicide upon return to Kabul, one day after conservative Interior Minister Horst Seehofer bragged about having carried out 69 deportations in time for his 69th birthday. Germans also often protest at airports ahead of deportations being carried out. “Cologne takes a stand!” was less of a tense political standoff, and more the air of a community festival, in keeping with the peaceful message of the demonstration. Togo is teaching the world how complex gadgets can be built from everyday waste.